First off, I have to give a shout out to this week's honourable mention Wood Nymph by Brons. The ombre effect and print in the sheer gown is really top notch work. 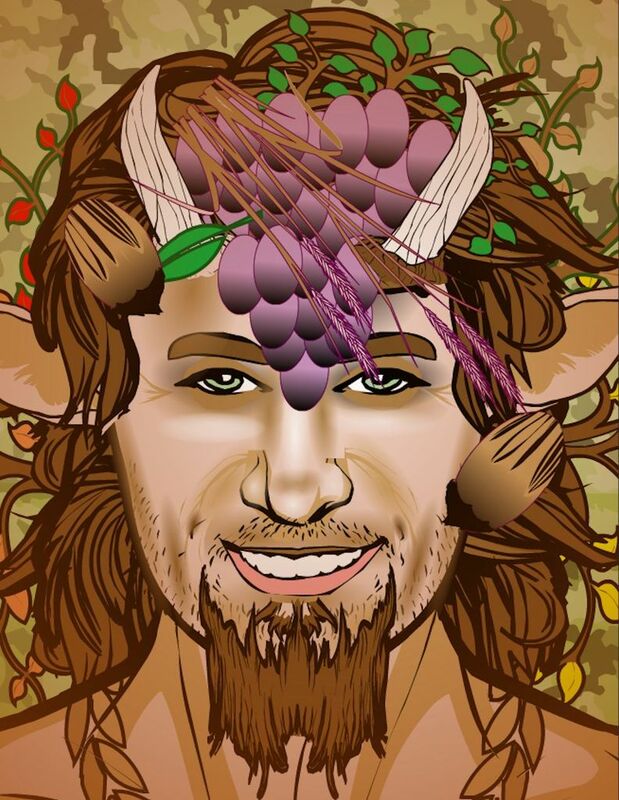 And now to this week's winning entry Autumn Satyr by Cliff. More of the fine work we have come to expect. Well done you! Thanks, djuby. Glad you liked it. I’ve been playing with ombré and color gradation effects for a while now, as well as translucent fabrics and thought I’d have a little fun wit this one. 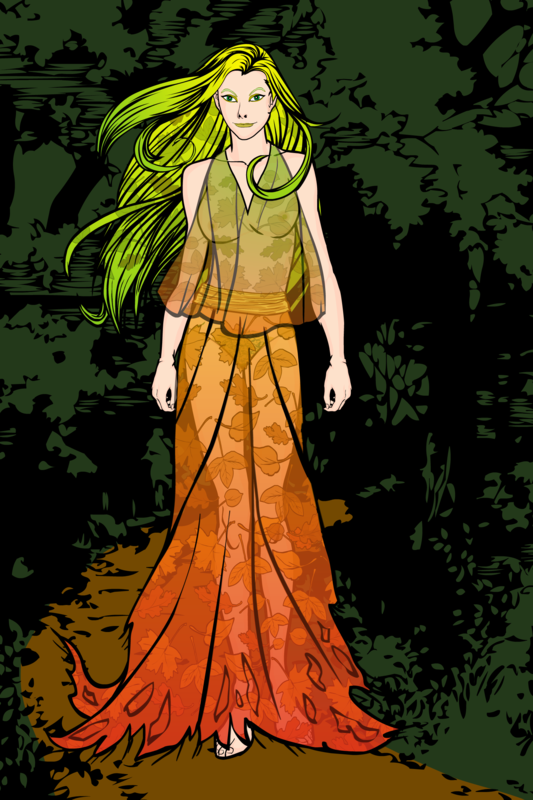 I have a very good friend who has several times done a Wood Nymph costume (in the days before cosplay as called “cosplay”), Her hair is a very pale, nearly platinum blond, and I’ve always like the look of blonde shading into green as hair for woodland feys. Whether the leafy patterns in her garments or hair are a “print” or some of her woodland nature imposing itself is not a question I chose to answer. Turning to Cliff’s Autumn Satyr, it is terrific. Beautifully done. Congrats, man! I am sorry this is so late. It definably is NOT that I don’t appreciate the win and the comments. Just been a hectic 2 weeks with dialysis leaving me drained and lots of in-law stuff. I do want to THANK YOU for the Win djubly. Forest I hope will be pretty kewl in the Pathfinder RPG. I thought he would be an appropriate Autumn King. I had a pic with far more foliage, but was told it was too much, so “harvested” a bit off of it. I admit I like the pecans which is an oval, a mohawk for the point, which adds all the difference and more hair to make the pecan streaks. 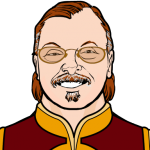 @ Brons – My wife and I had you placed for a win. Love the leaves in the transparent gown and the hair.